The toy box by Bloomingville is where your child’s favourite doll, teddy bear, building blocks, wooden railway, puzzle and much more can be quickly and stylishly stored away. Everything can find its place in the box and help to neatly organise children’s bedrooms after playtime. 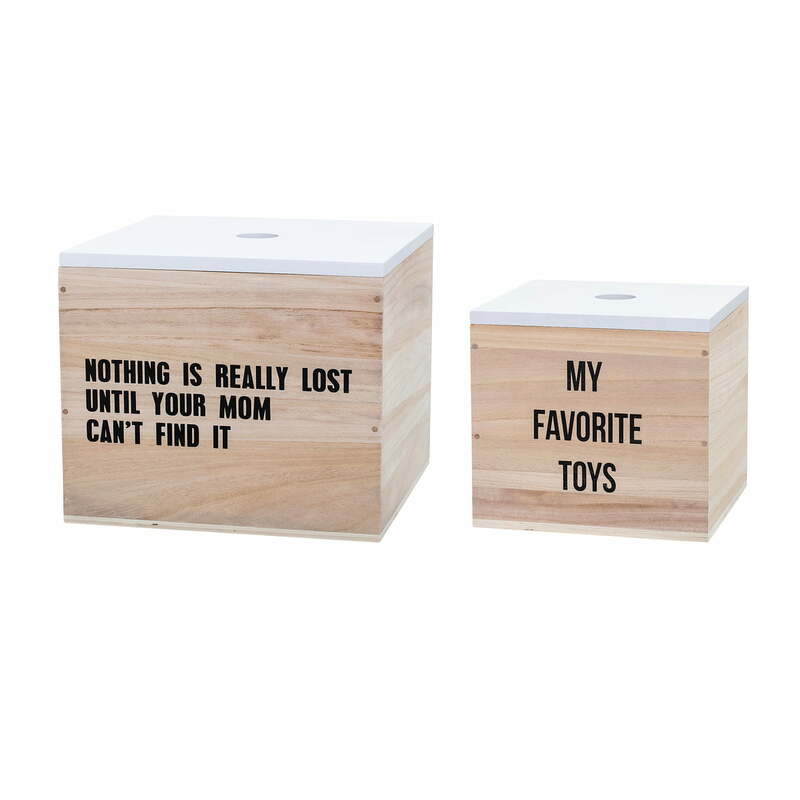 "Nothing is Lost Until Mom Can't Find it"
Thanks to the cool sayings and motifs, the storage boxes become decorative elements in the bedroom, which pleases both parents and children. The toy boxes are made of paulownia wood and feature a lid that is easily lifted off thanks to the hole in the centre. 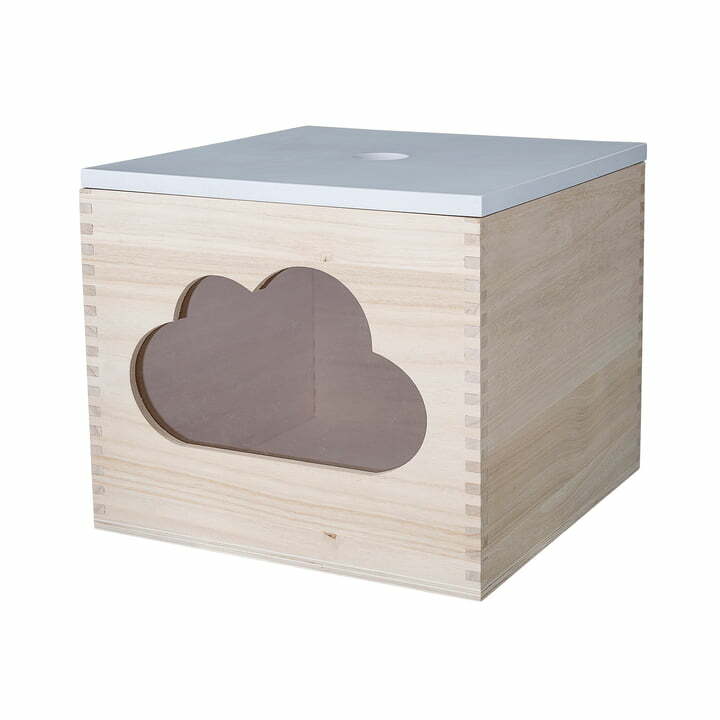 Isolated product image of the Bloomingville toy box, Cloud. The toy boxes are made of paulownia wood and feature a lid that is easily lifted off thanks to the hole in the centre. The toy box Toys by Bloomingville in white / natural. Everything can find its place in the box and help to neatly organise children’s bedrooms after playtime. The special feature of the toy box Bear by Bloomingville: The Bear toy box consists of Plexiglas, allowing the contents of the box to immediately seen. 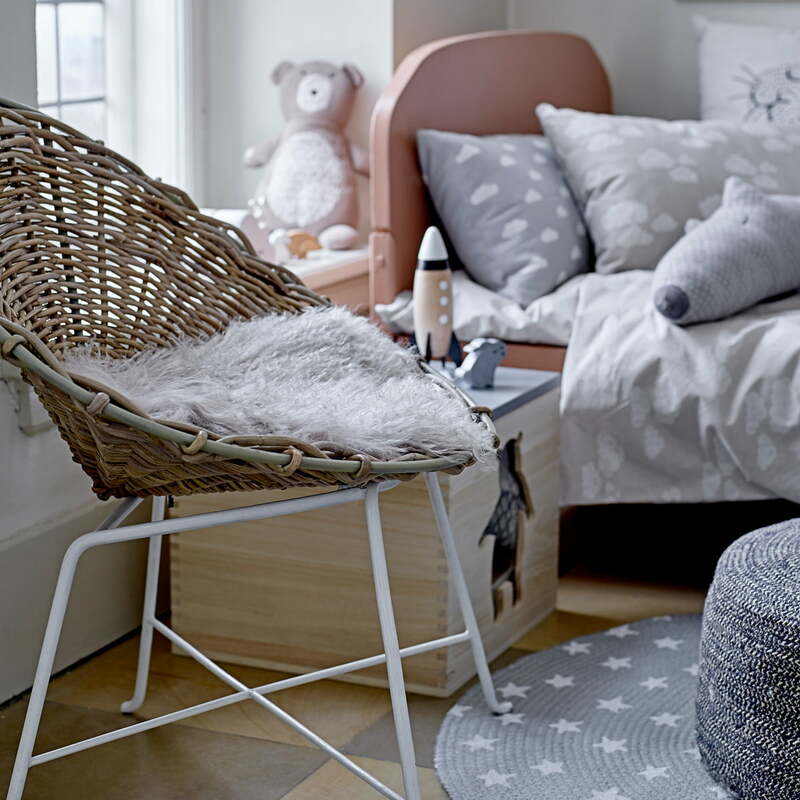 Lifestyle product image of the toy box Bear by Bloomingville. 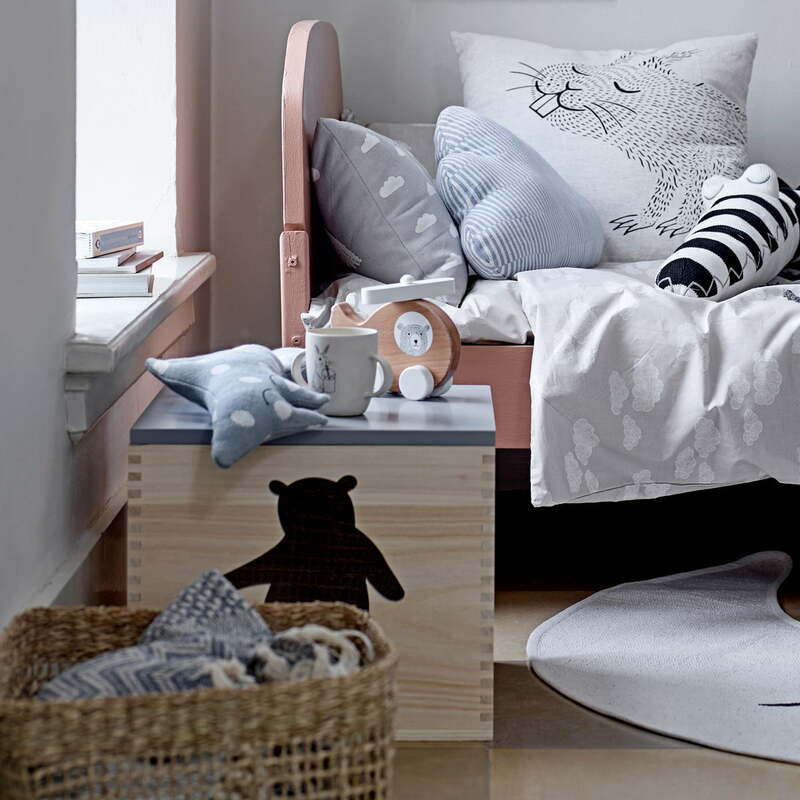 The toy box with a bear as a motif is great as a bedside table in the children’s bedroom and is extremely practical.